Our dear friends that we were visiting live about 2 blocks from downtown Austin-which was amazing! We were instantly craving Tex Mex and went to the Iron Cactus to eat! 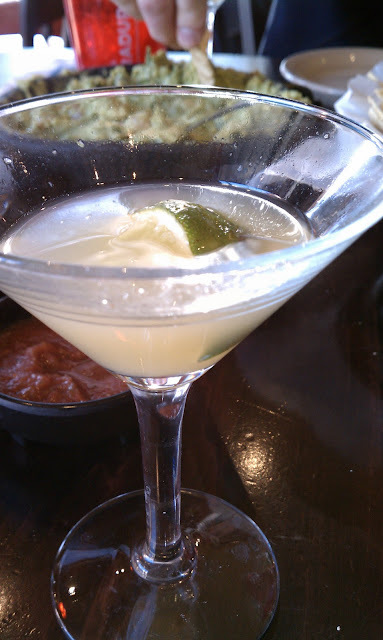 This margarita is made "martini" style and was delicious! 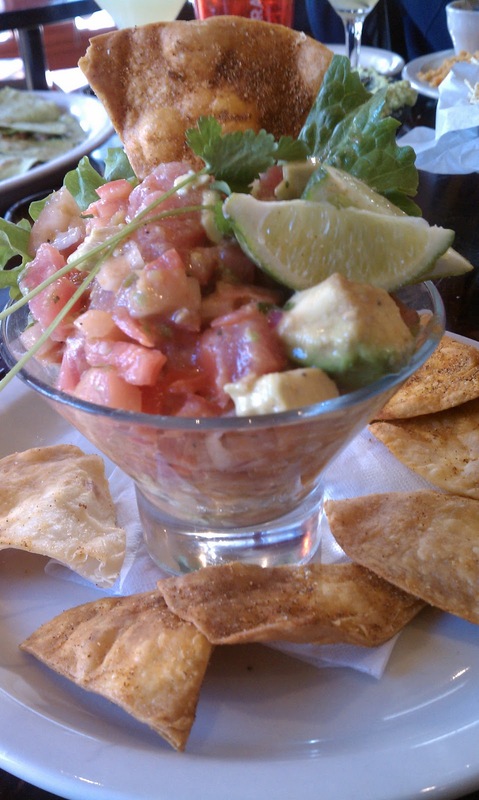 The Ahi Tuna Ceviche was so fresh and flavorful! 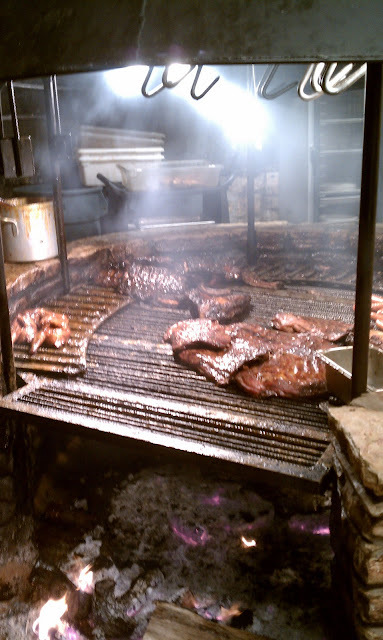 For dinner, we went to Salt Lick and the BBQ was very yummy and authentic! When you walk in, there is a huge fire pit and it smells like you would expect Texas to...delicious! And funny enough, it's BYOB...they can't sell liquor there, but you can bring it! Only in Texas would they have a store dedicated exclusively to hot sauce and all things spicy! 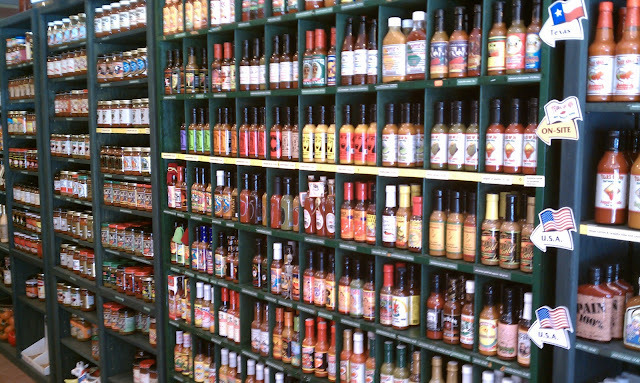 Tears of Joy was a hot sauce haven for people like my husband, who lives by the idea: "the hotter, the better!" 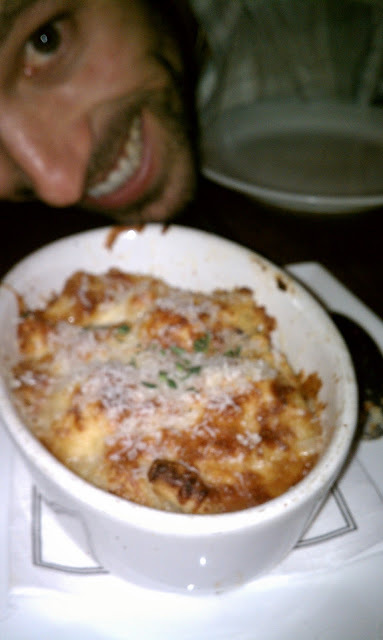 and baked with Gruyere, mozzarella, provolone and Grana Padano cheeses. UM, can we say "YUM"??? Hubby got the Fried Egg Sandwich (pictured above) and I got the Fried Chicken & Champagne Chopped Salad. I've honestly never had such amazing fried chicken in my life--it was super moist and just melted in my mouth! It was so so yummy! 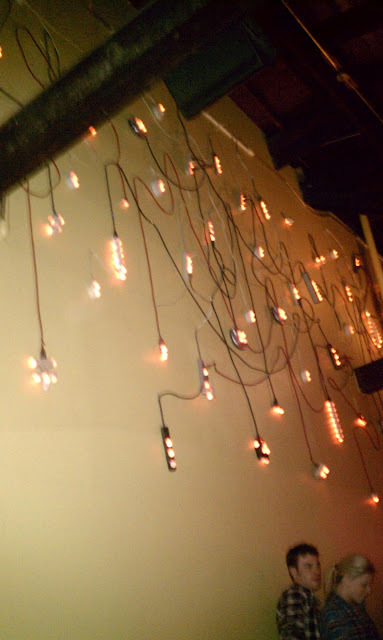 On of the bars we went out to had this amazing light wall! I love how rustic and artsy it is! 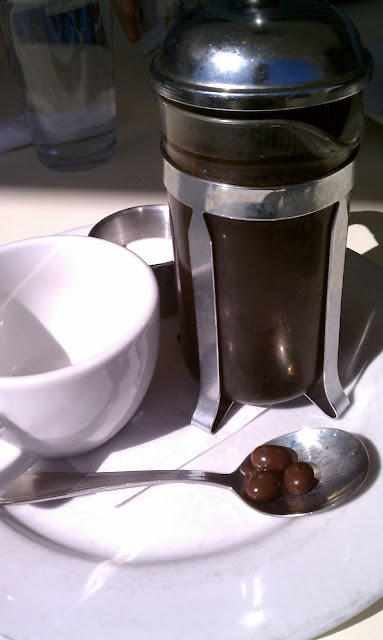 We had brunch at the Galaxy Cafe and they served their coffee in individual French Press Carafes, complete with chocolate covered espresso beans. I loved this attention to detail! The cowboy boots were abundant everywhere! 'Nough said. 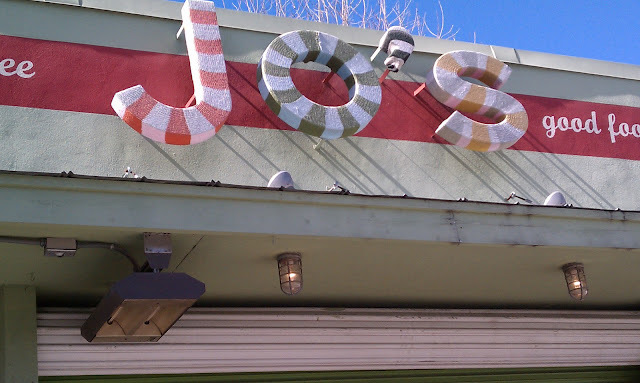 Jo's had wonderful coffee and on the side of the table was the "I love you so much." wall that I posted here. 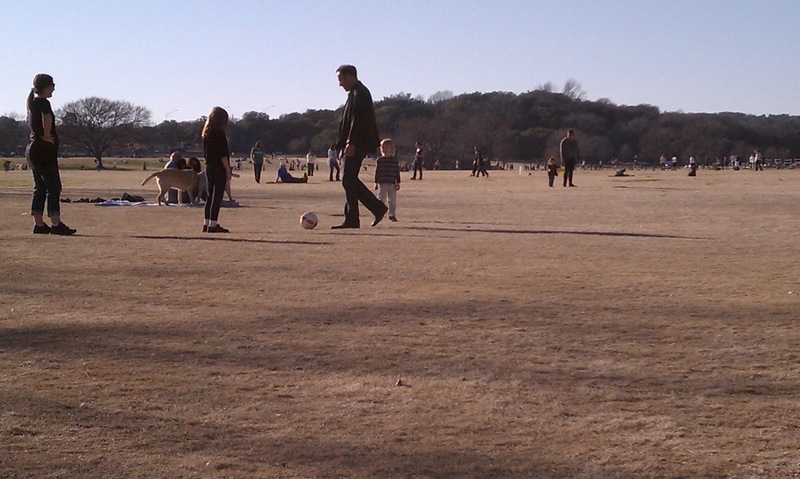 Though Austin is a big city, it's amazing to see all the wide open spaces! 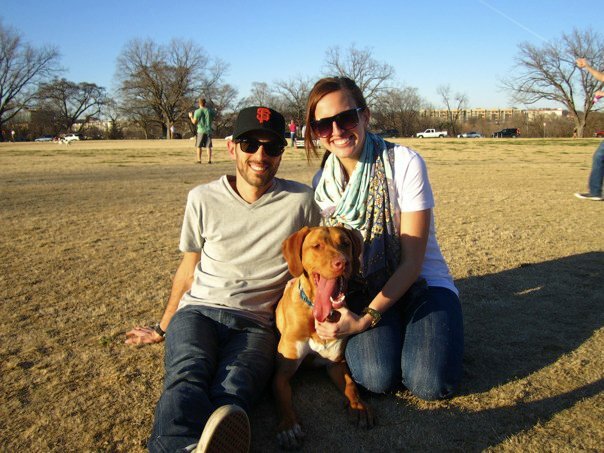 Ziker Park was a great place to bring the dogs and hang out with people young and old. This park hosted the Eagles performance during Austin City Limits! The Boom Boom Rom inside the Union Park was super chic and swanky! 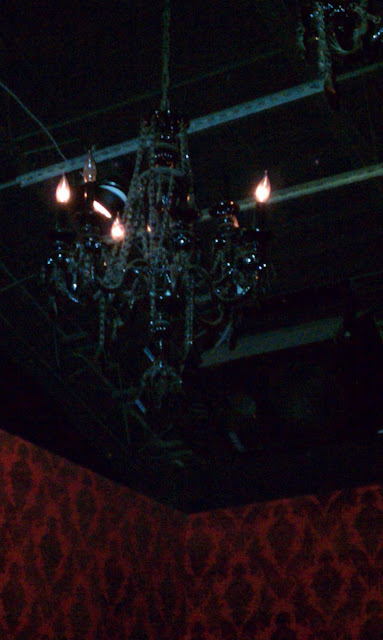 I loved the velvet wallpaper and black crystal chandeliers! This is just a taste of all the wonderful places we got to see and eat at. I loved how eclectic Austin was...every corner we turned had some unexpected treasure to uncover. The people marched to their own beat, the buildings were modern, yet rustic (my fave!) 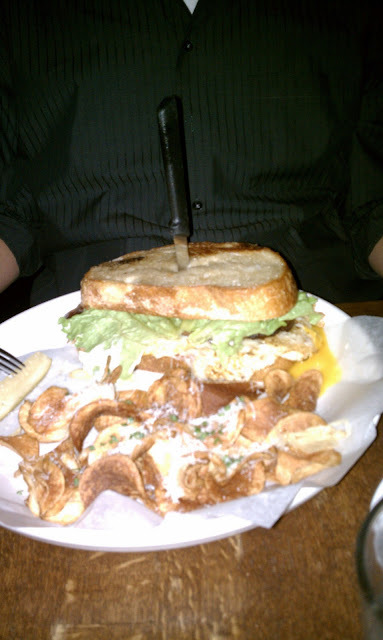 and the food was always exceptional! 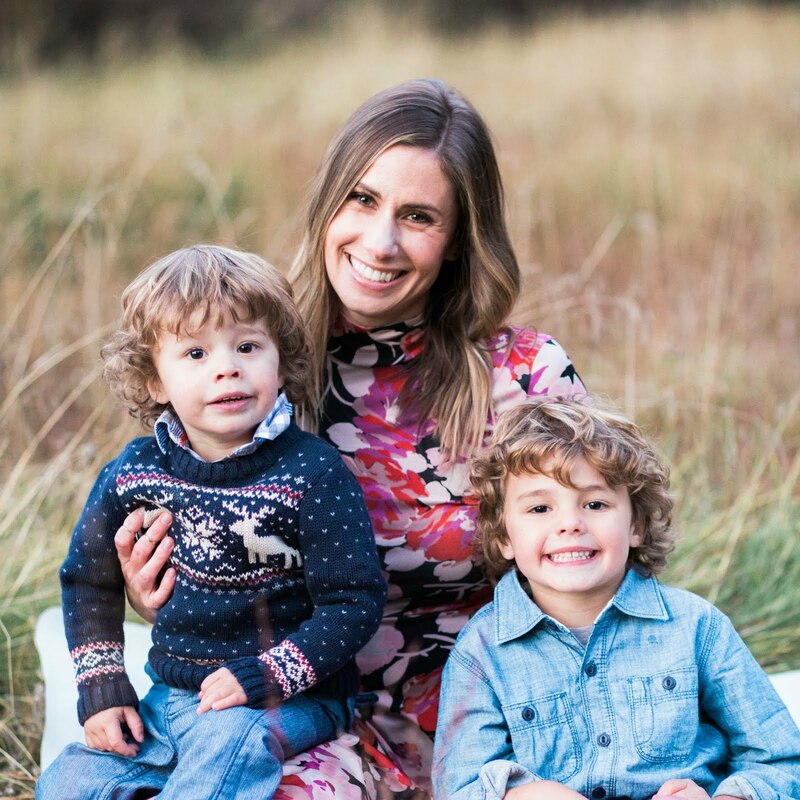 We have to give a special thanks to our best friend Cameron (Hubby's Best Man) and his girlfriend fiancé Meredith! He just proposed tonight and we could not be MORE excited for them!!! So there you have it ya'll! Austin Schue Love style! I LOVE Austin... very jealous! Looks like an amazing trip! Sooo jealous!! 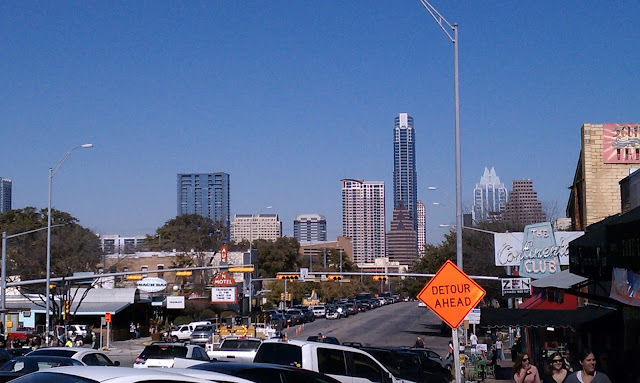 I have been dying to visit Austin and only hear wonderful things about it! Thanks for posting all of the pics and places fingers crossed I get to see it for myself one day soon! So is Brad Womack a bar owner? Which one does he own? Looks like you guys had a great time. The light wall is stunning. 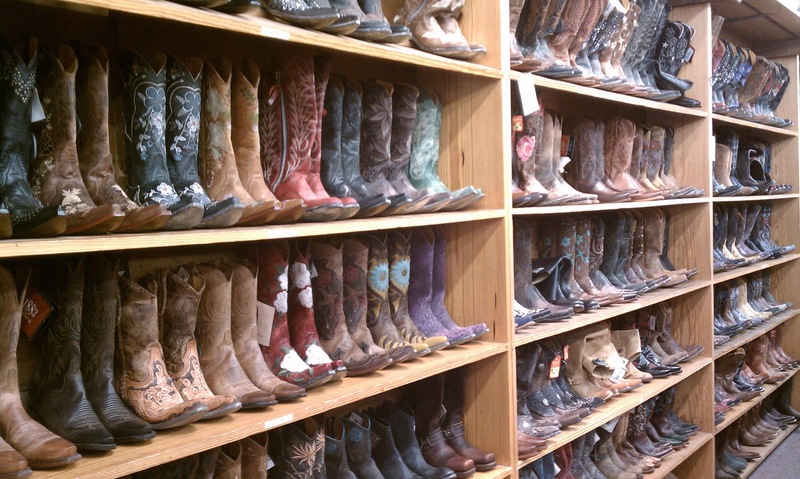 I've been DYING to go to Austin for years...and this confirms that I need. to. go. PRONTO. 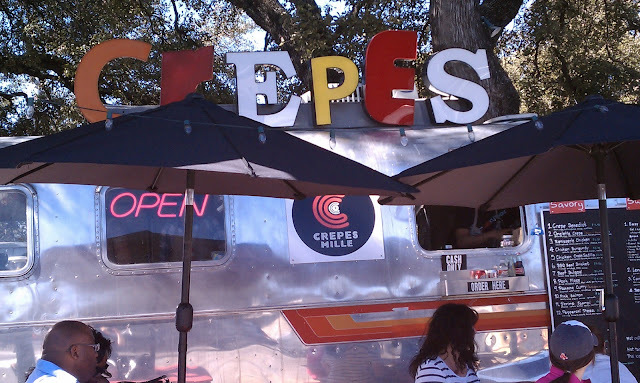 Love the crepe truck, love that light wall, and I'm sure the hubby would love that hot sauce store! Hi Natasha! I used to live in Dallas and LOVED visits to Austin. It's such a fun and lively place. Looks like you had a great time! 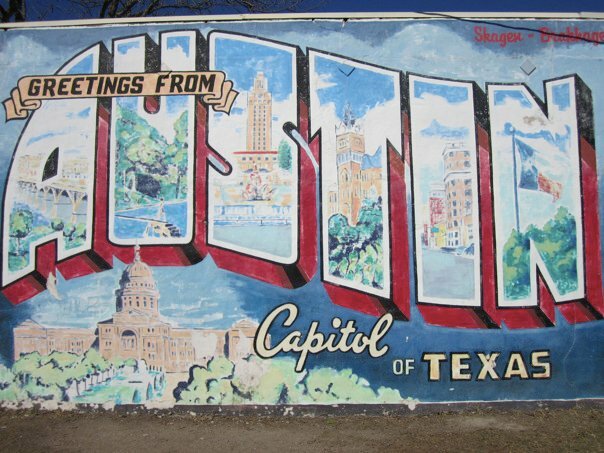 Looks like such a fun trip, Austin is a place I've never been (sadly.) 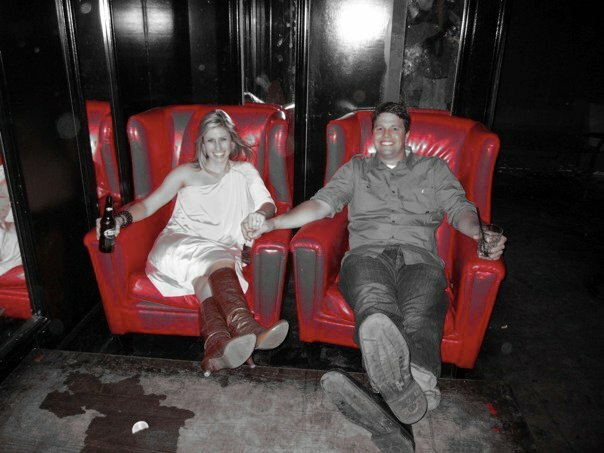 Love that picture of you two in the red chairs, so cute! Oh man. I'm in bed right now, and this post made me SO hungry!!!! Looks like you guys had a blast!!! I wish I had a printer here. I'd print this post and follow your footsteps!